Rugged ATR (Air Transport Rack) enclosures fitted with integral power supply, cooling assembly (and heating when required), backplane and front panel connectors/indicators. Can be provided in a range of ATR sizes. Backplanes options - cPCI, PCI, VME64x, VME/VME64, VPX and custom. To suit 3U & 6U card sizes. Operating temperature range of -40°C to +85°C. AC and DC power input variants available. System designed with enhanced EMI/EMC specification. Manufactured in the UK, these units are not subject to ITAR restrictions. Commercial, Industrial and Mil specification Backplane Design. 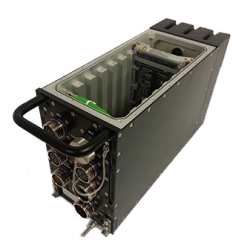 Enclosure & Mechanical Design (Mil spec compliant EMC solutions. Def Stan 59-41 Mil spec 461F). 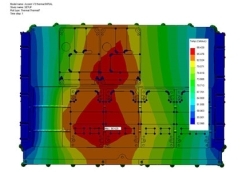 Environmental Design Expertise including Thermal Design & Simulation.